A private, multidisciplinary, interstate, rural and remote Allied Health organisation: How do they manage? 2 School of Public Health and Social Work, Faculty of Health, Queensland University of Technology, Victoria Park Rd, Kelvin Grove, 4059. 3 Queensland Health, GPO Box 48 Brisbane, Qld, 4000. 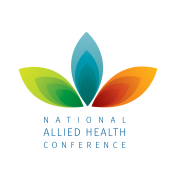 Allied Health (AH) service delivery models in rural and remote settings differ from those seen in metropolitan areas, where small populations dispersed across large areas leads to lower throughput and higher operating costs. However, there are organisations that appear to be not only surviving but thriving in this challenging environment. 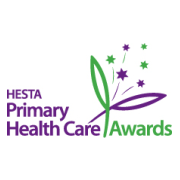 This project aimed to identify specific factors required to sustain organisations in the private rural and remote AH sector, through investigation of planning and management, recruitment and retention, funding and service delivery models of one private AH organisation operating in rural and remote Australia. Australian states was undertaken. Methods compromised a desktop audit and literature review, followed by six semi-structured interviews using purposive sampling. Interview data was analysed using thematic and SWOT analyses. Data triangulation was performed using organisational documents, publically available literature, and verbal clarification from staff.